Are you trying to expand your brand? Looking to start exporting goods? Or do you just want to get your brand’s reputation off the ground? Whatever stage your brand’s at, it’s important that you find the right ways to propel it forward into your chosen industry. 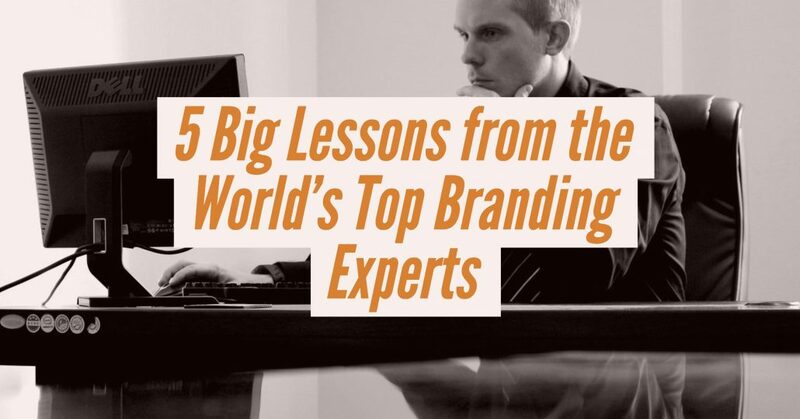 To help you along, we’ve collated some advice from the world’s top branding experts to bring you 5 important lessons that any brand can learn from. Iain Bluett, co-founder of Freshtex, found that when he launched his company he had a higher rate of engagement when using brief emails and short videos to showcase his brand. These got straight to the point unlike other longer forms of content, capturing people’s attention quickly without lots of unnecessary jargon. James Cotton, the founder, and director of Onespacemedia (a digital creative agency), also feels that an effective way of engaging the audience is to use a humanistic approach. He cites the trend of telling a founder’s story for technology startups, which he believes is a great conversation starter and covers the often forgotten part of a business – the people behind it. To get the biggest return on investment, Lewis Howes, former professional football player and host of The School of Greatness podcast, suggests that you make friends and develop relationships. 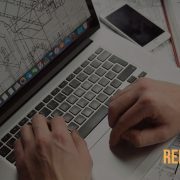 He believes that many opportunities for businesses arise out of these initial connections, and these will only come about if you go out there and find them. He also comments that you shouldn’t just network with influencers but should also try to make friends with them. And thanks to technology, making friends is much easier than it was on your first day at school! Make connections and build professional relationships by attending local events, discovering people who are willing to engage with you on social media and connecting with people through online forums. Being consistent is something that seems straightforward but over time, it can be easy to deviate from the original brand messages that you put in place. However, a number of experts believe that one of the keys to establishing and maintaining a good reputation is to be consistent in how you portray your brand and follow its key commitments. For example, Marlee Ward, founder of Radical Entrepreneur, believes that a brand isn’t just about a logo or name. Instead, it’s about the overall experience that’s provided to the customer and if you’re not consistent with this, customers are going to question why they should invest their time and money into you. There are plenty of other choices out there for them so be clear in what you’re going to offer them but then make sure you offer them this without fail. Jessica Kupferman, founder, and host of Lady Business Radio, adds to this by saying that if you deviate from the look of your brand, even if it’s only slight, you’re going to confuse the customer. You should be married to your brand, making sure it reflects your personality and you. Then, by being yourself (warts and all), you’ll make sure your brand retains its strength and consistency. Once you’ve developed your brand’s unique promise, this provides you with the perfect filter for all of those important decisions that you’ll need to make, suggests Julie Cottineau, founder, and CEO of BrandTwist. Some of these decisions will be what you’re going to charge customers, what new services / products you’re going to offer and how you can use social media to effectively drive your brand’s mission. By developing a strong brand, it helps you to make these crucial decisions with more precision and within a shorter period of time. Good brands will drive forward their message at every touch point with the customer. Cottineau uses Starbucks as an example suggesting that they don’t just say that they’re about community and coffee – they prove it. When you walk into a Starbucks, you can feel their brand promise being realized and they do this by using everything from the comfy seats they provide to the baristas that are donned in green aprons. Be Ethical. Be Transparent. Be Honest. And Change Negative Opinions. Gini Dietrich, CEO of Arment Dietrich, Inc., believes that when you’re looking to improve your online reputation, you need to have a moral compass and be honest, transparent and ethical. She also suggests that when people say a company has a “PR problem” when negative comments about them go public, this isn’t the case at all. Instead, it’s just an elaborate excuse because the true problem lies in their customer service or business operations or executions. And until they’ve fixed these things internally, they’re never going to be able to improve their brand’s reputation. If a company needs to clean up a previous process or executive team, Dietrich points them in the direction of online searches. They should search all of the social networks for “I hate [COMPANY NAME]” and take a look around all of the review sites, e.g. Yelp, to find out what people are saying (warning – you may need some Dutch courage to get you through this part!). Then, they need to reply to all of these people, offering to chat with them to prove how they’ve changed. They then need to create content that showcases how their brand has changed and how their processes are different. It won’t happen overnight but eventually the brand’s reputation will start to shift in the right direction.